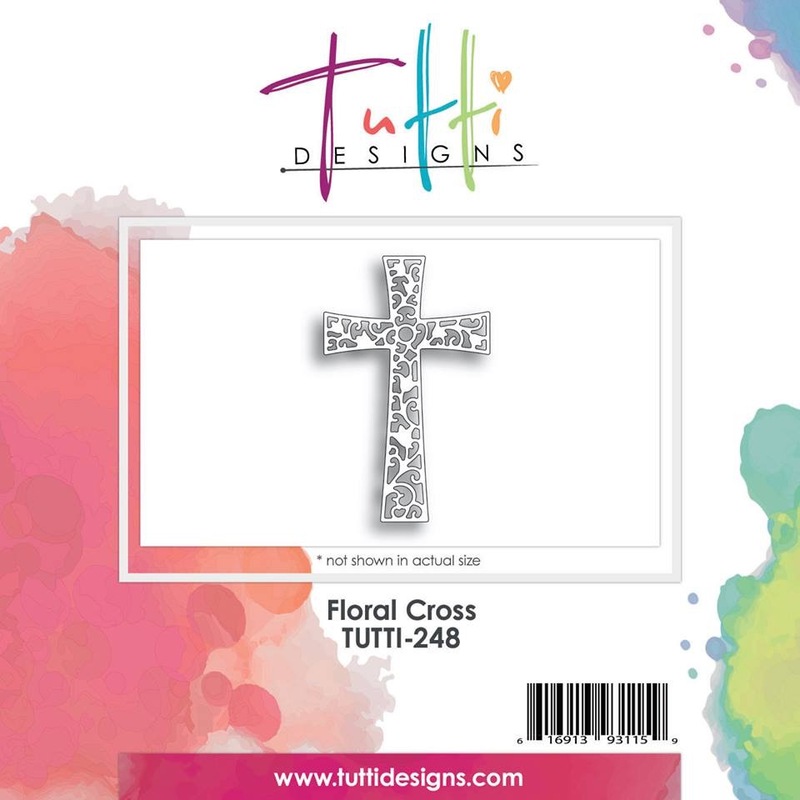 Tutti Designs: With Sympathy a Floral Cross. An Elegant but simple Sympathy card. 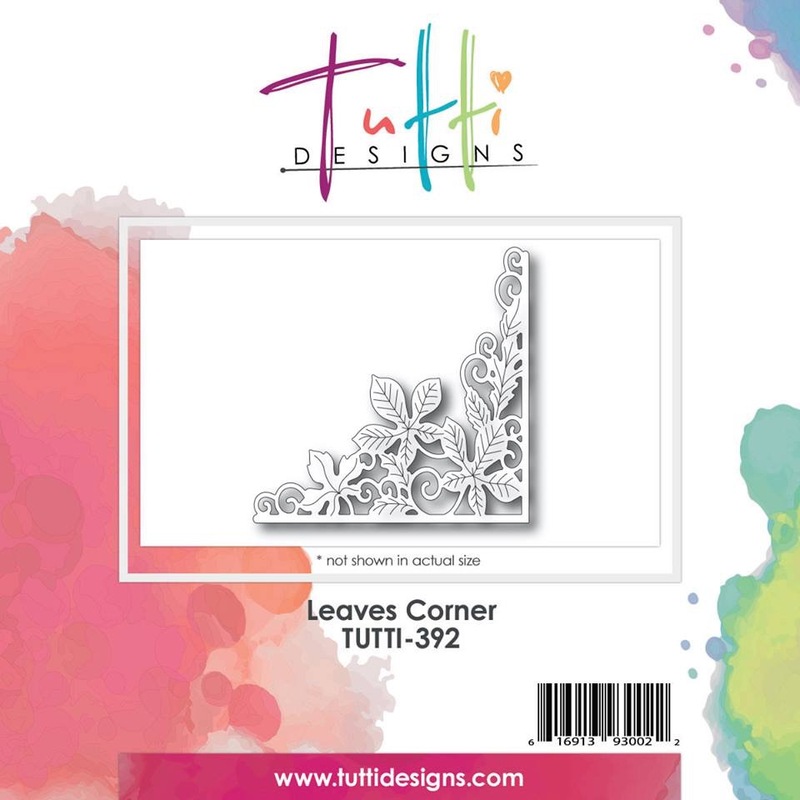 Cut out with silver satin card. Glue to silver mirror card and cut out. 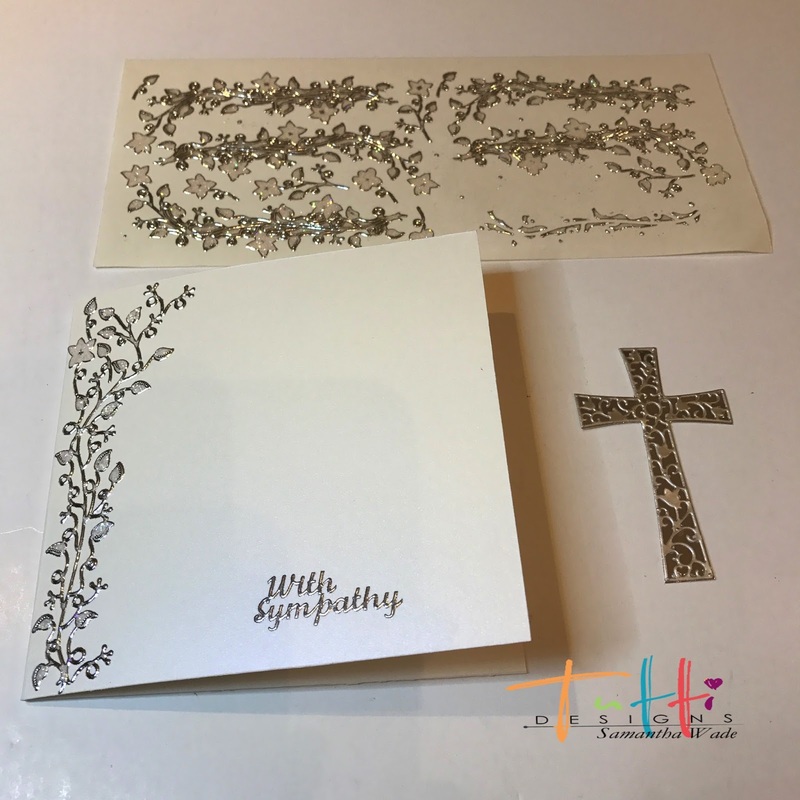 Using silver peel offs for the words and vine on the side of card. 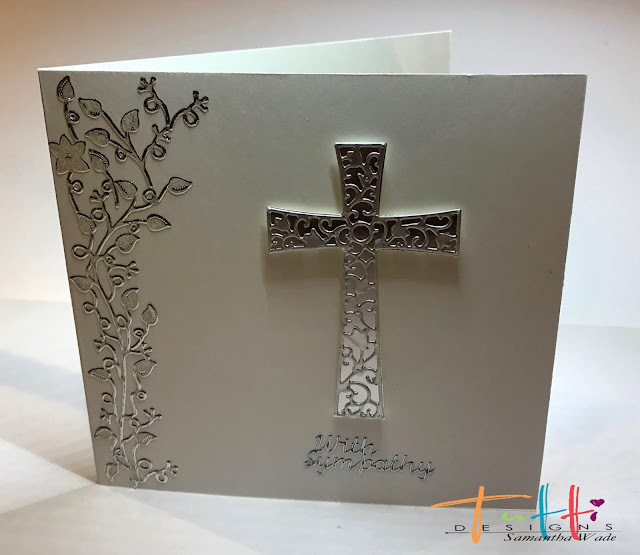 To give some dimension, add 3D foam pads to the back of the cross and glue to the card. 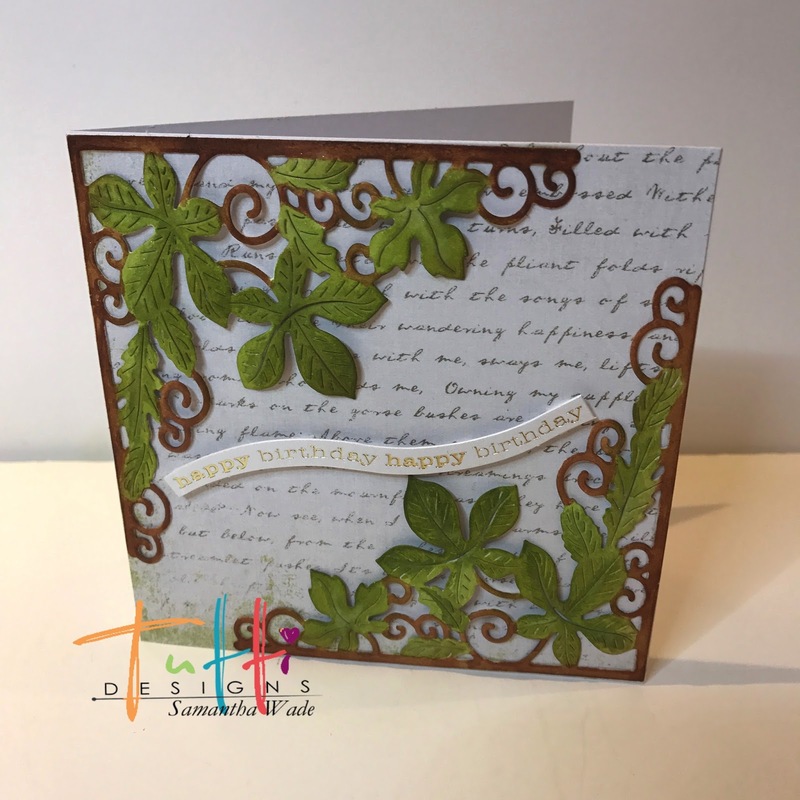 Always a difficult card to give to someone, but the simplicity is so elegant. 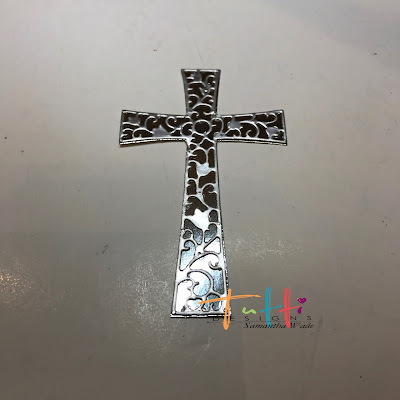 Could also be used at Easter, Christening and Confirmation. 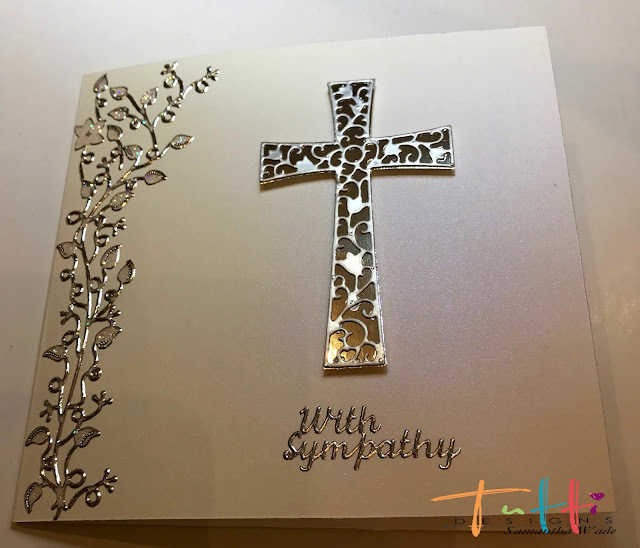 Samantha, this is a lovely and elegant Sympathy card. It is perfect for those times that you need to send one.